The heated air exhaust screen is visible. The 4-inch air inlet hose has been removed for this photograph. 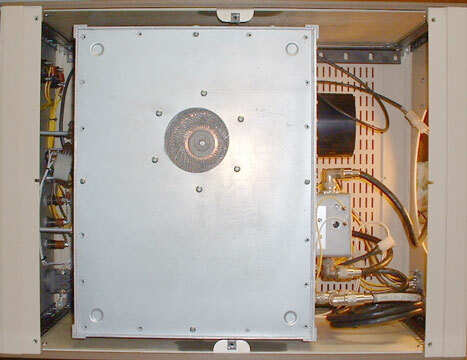 Notice the QSK relay box on the chassis rear panel. A large access hole in the rear enclosure panel allows easy access for the blower air hose, cables, and the high voltage power supply leads.